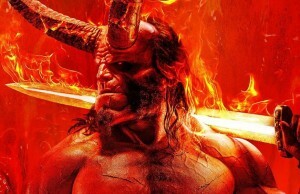 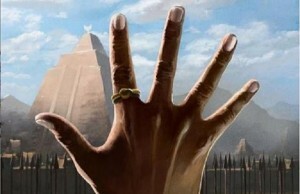 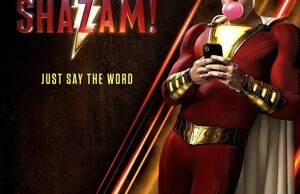 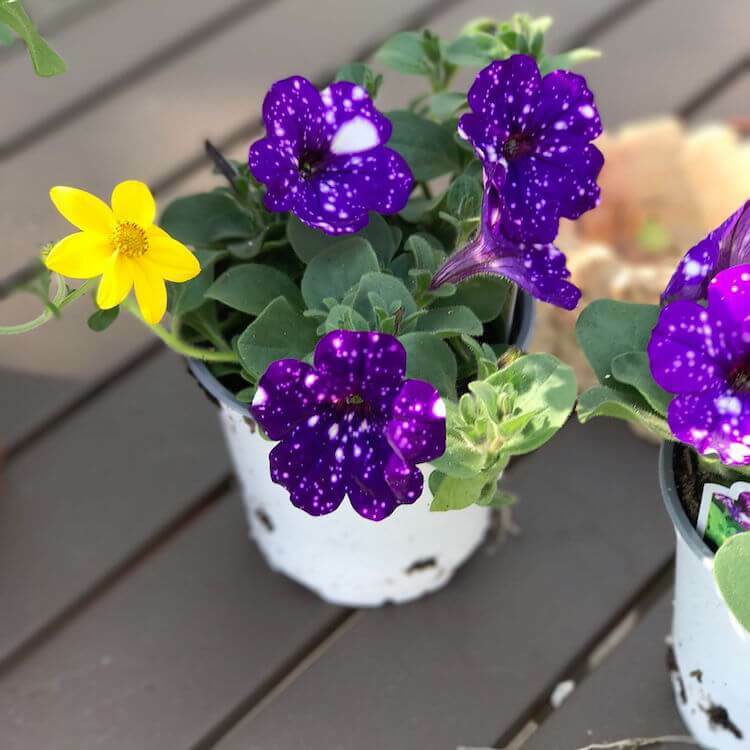 Working on this blog for nearly two years I have written about many things that are awesome and I must say that with time my starting point of excitement have significantly moved forward. 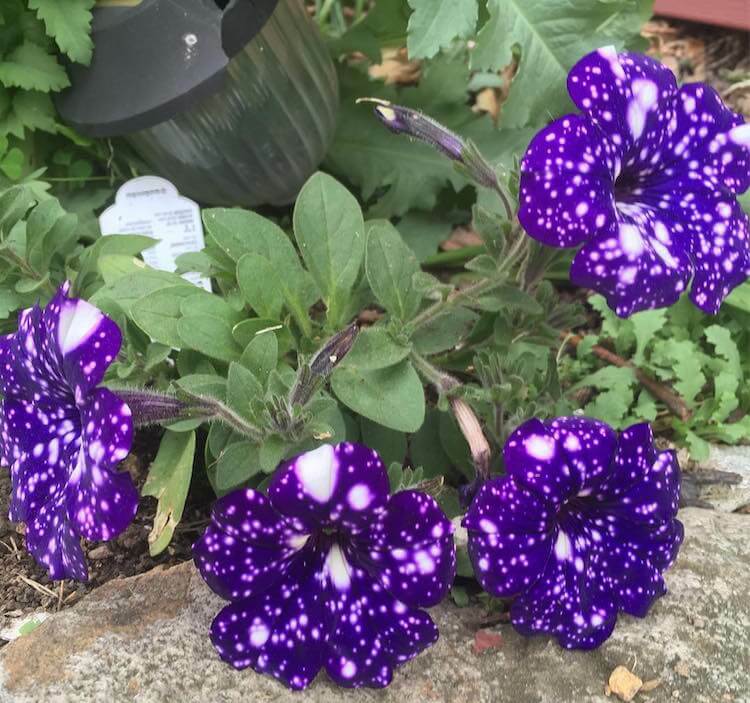 Yet, these galaxy flowers totally got me thrilled! 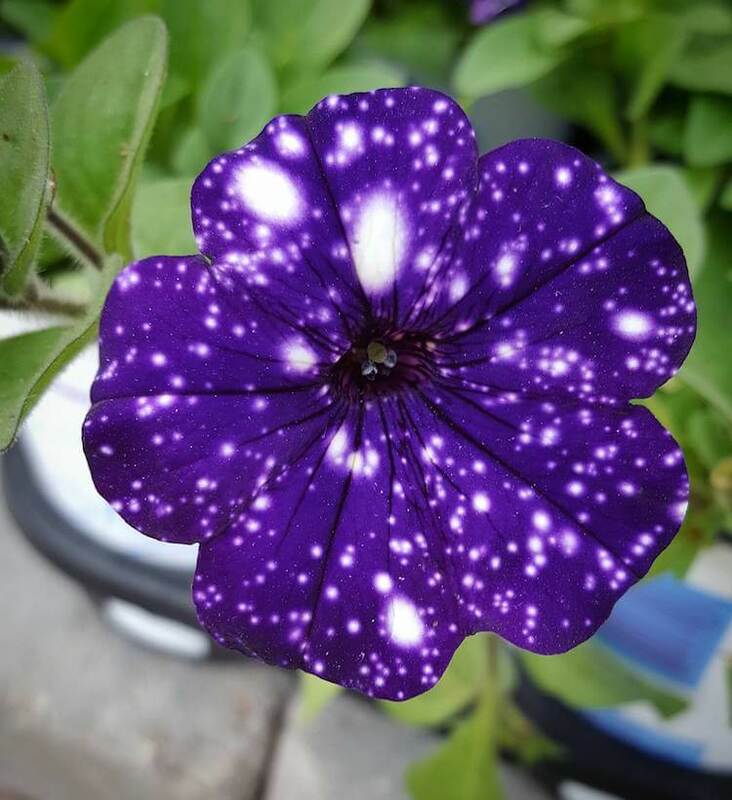 It’s not just about its rare beauty, a fascinating thing about it is that you can easily forget you are looking at the flower – it’s like gazing into the galaxy. 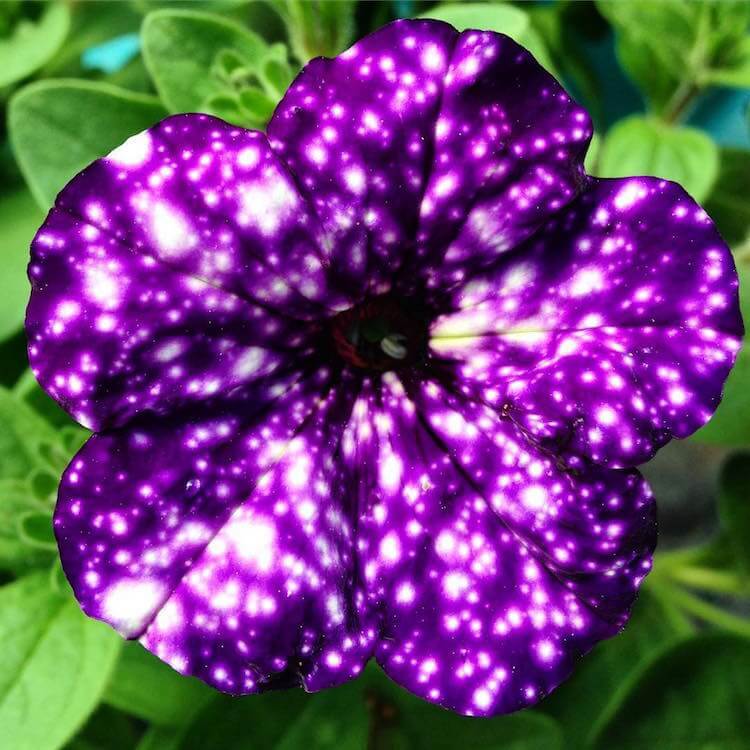 The name of this enthralling mother nature’s piece of art is the Night Sky Petunia or scientifically known as Petunia cultivars. 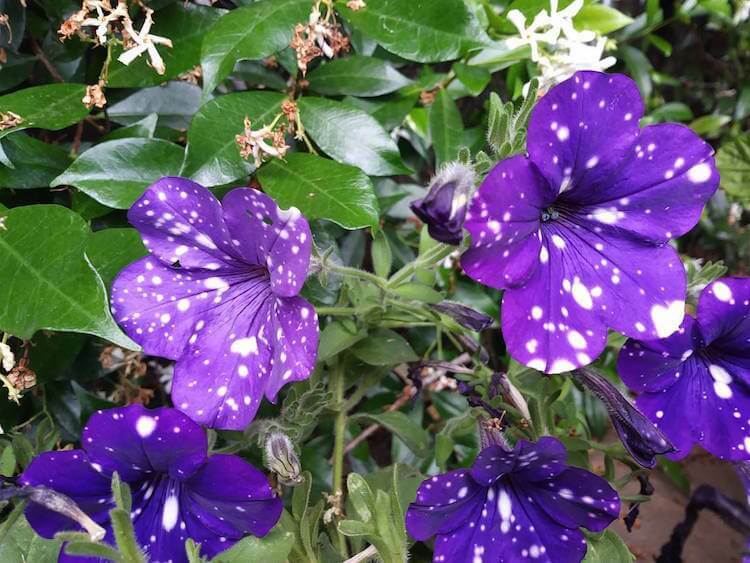 Each flower is dark purple and speckled with luminous white dots. 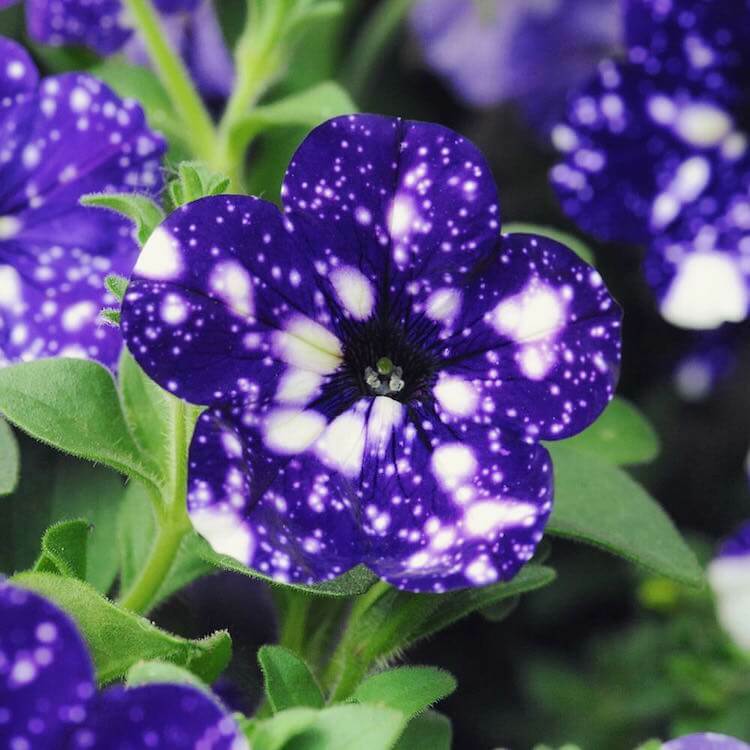 This combination looks exactly as starry nights so the name for it was just imposing itself. 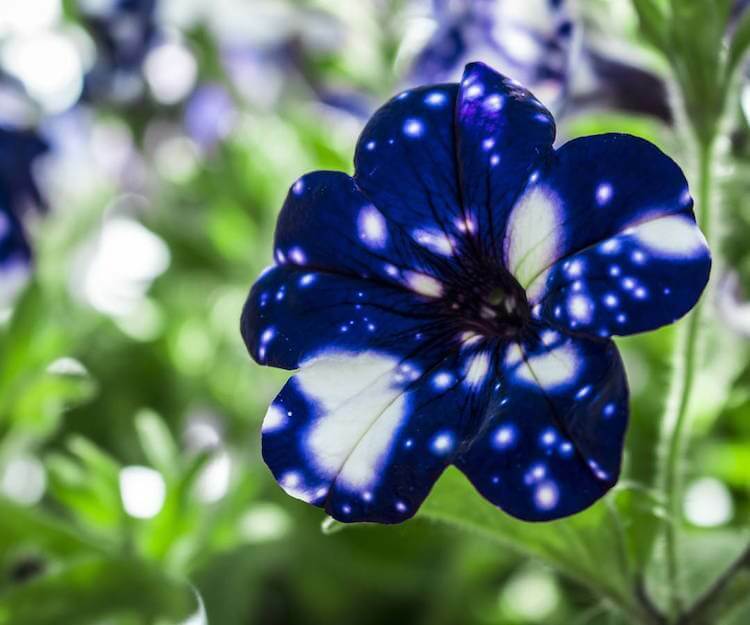 Every plant is unique and that’s particularly interesting – a little universe all for itself. 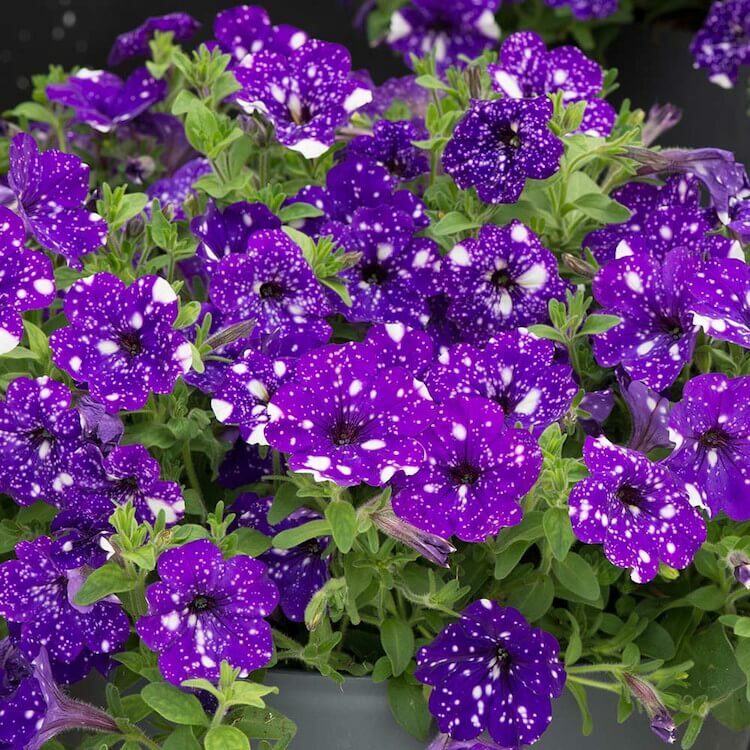 It’s not a wonder that Night Sky Petunia is so popular among gardeners and flowers enthusiastic. 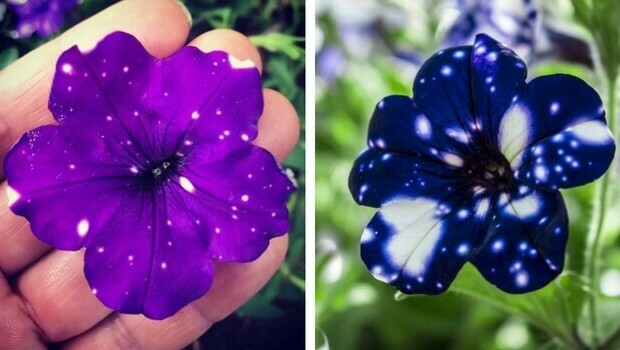 The Galaxy flowers or Night Sky Petunias can reach a height of 16 inches. 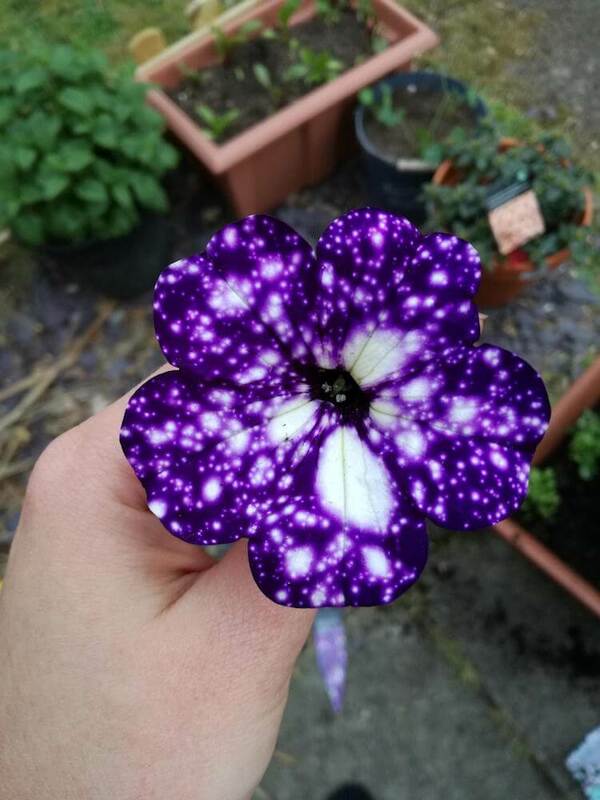 The flower blooms during the Spring and Summer. 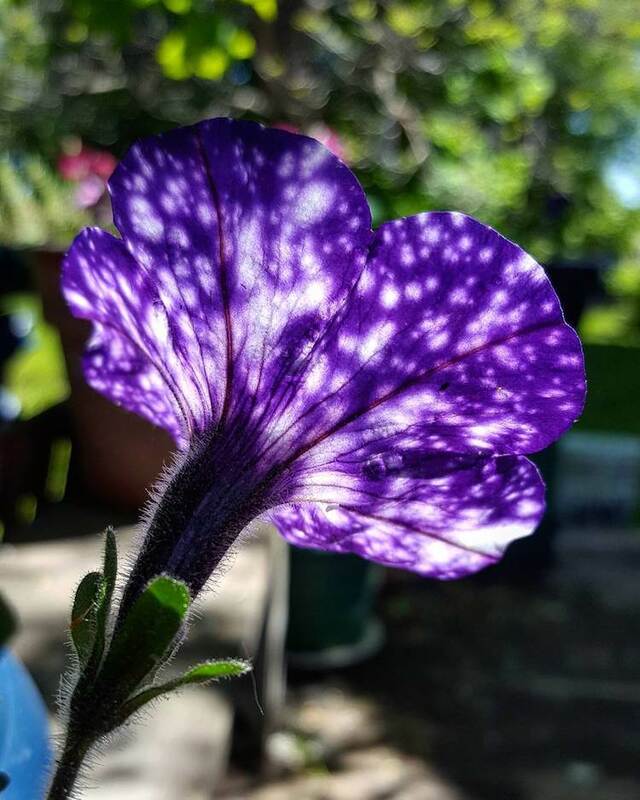 The question that probably is already on your mind is – what causes these ethereal patterns that make the flower this fascinating? 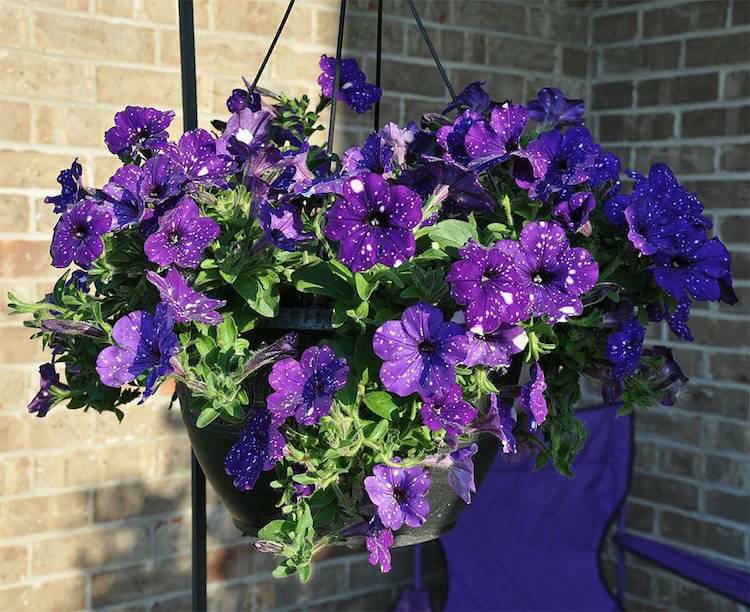 According to Burpee, “a large variance between day and night temperatures will cause temporary white coloring to form on the flowers.” So, to have your plants as beautiful as these in the photos in the gallery you must give them special attention – keep them toasty warm during the day (around 100° F) and cool at night (about 50°F). 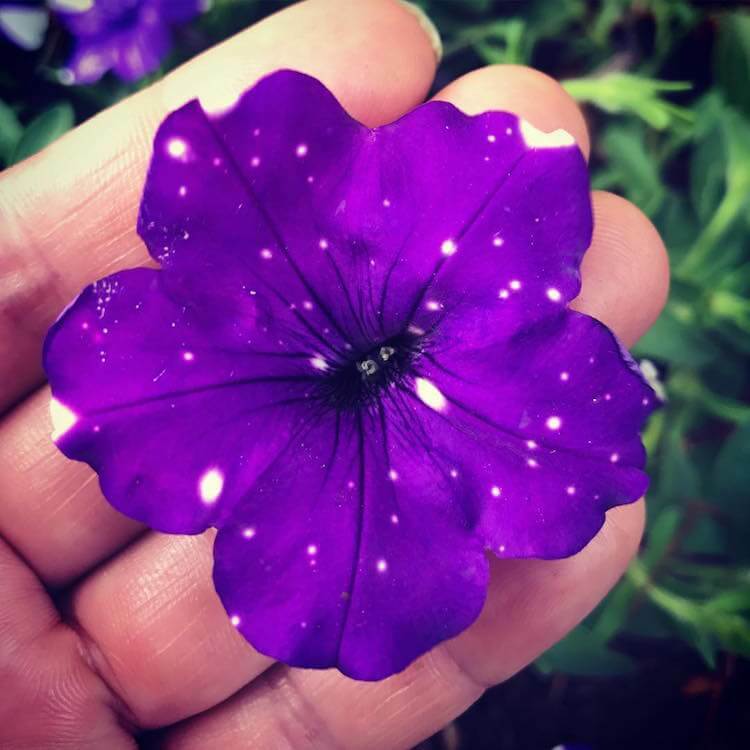 Night Sky Petunia seeds are available for purchase on Amazon. 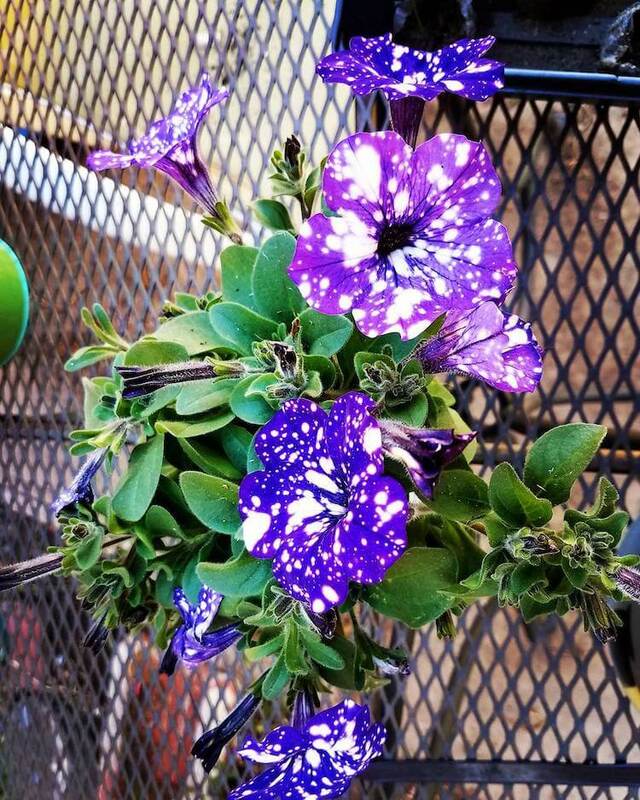 Each flower is dark purple and speckled with luminous white dots. 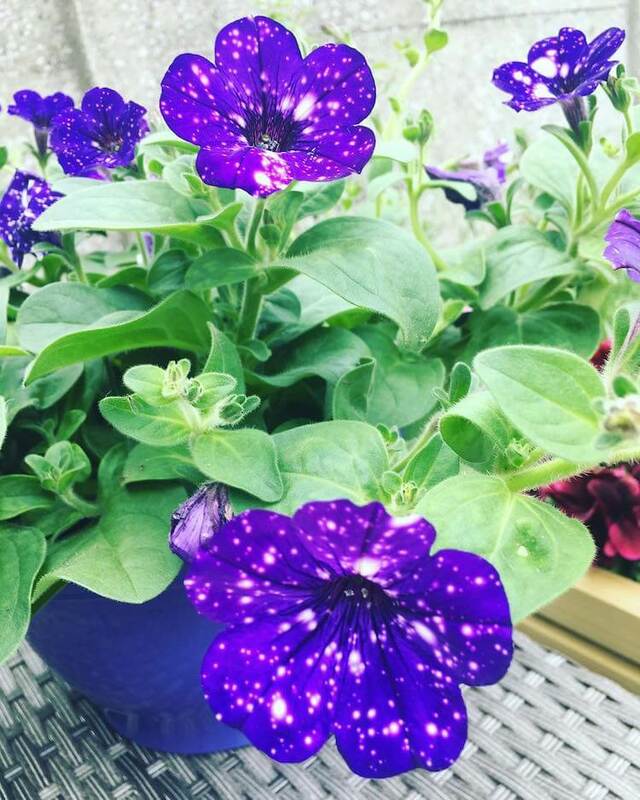 Every plant is unique – a little universe all for itself. 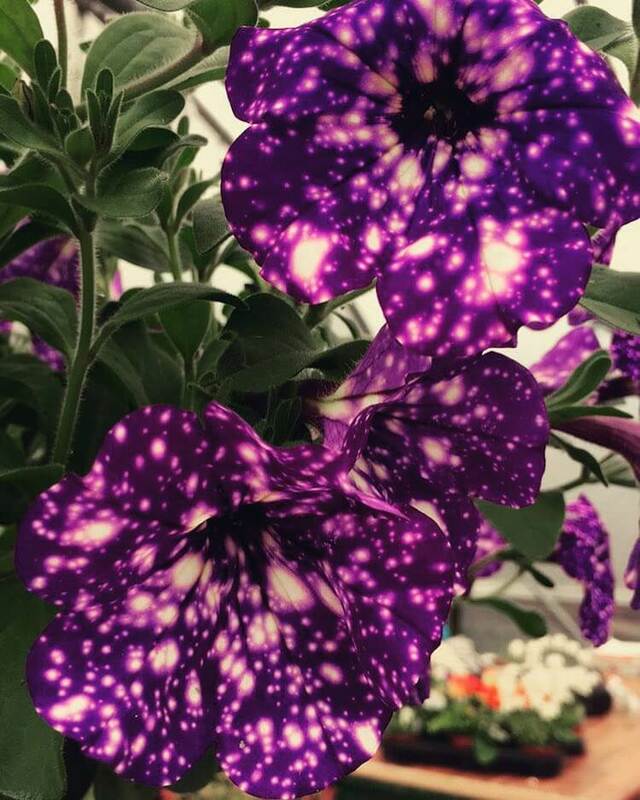 What causes these ethereal patterns that make the flower this fascinating?